You are truly such an inspiration to me! I have been pursuing photography for about 3 years now, and am just starting to poke my foot into the business aspect of it. I have done a total of 2 paid shoots in my entire life, and as I am getting more requests to do senior pictures I am feeling a bit over my head. For that reason I started researching senior pictures to try and find some inspiration- which led me to you. I have been poring over you blog and portfolio for the past half hour and I am in complete amazement! I love how you include professionally done makeup with your photo-shoot experience, and I am sure it makes the girls feel 100% more beautiful and confident! Also, your editing techniques have me baffled. The matte affect and soft colors are stunningly beautiful- one I have been trying to master for a very long time, yet you make it look effortless! I am sure I will be studying your blog for the next hour as well, but I just wanted to let you know how beautiful and unique your work is. Thumbs up!! 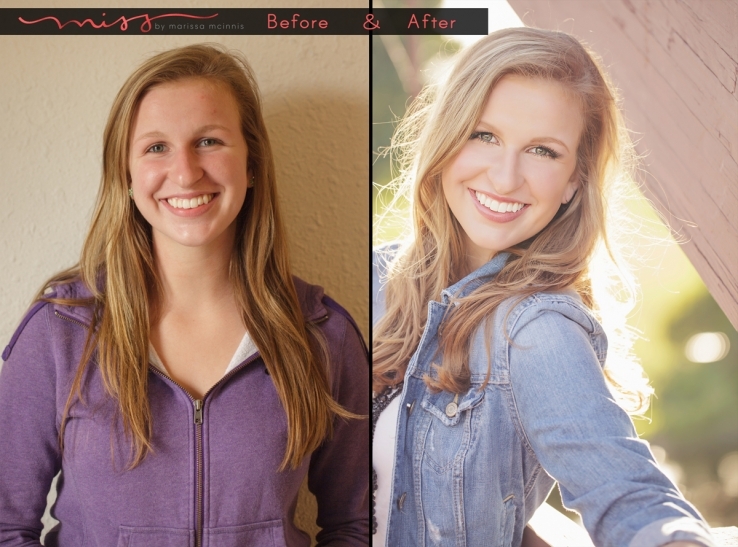 Meet the gorgeous 2014 senior from Bay City Central High School, Saige! She is an athlete (playing all my faves… basketball, volleyball & soccer), gorgeous, down to earth, with an infectious laugh and killer smile. Killer smile! It’s always hard to smile on cue, and as a photographer, I dread the Chandler’s…. Saige was NOT a Chandler… She was AMAZING & Natural!! She has the smile I wish I had… haha. Don’t worry, though… she didn’t disappoint on the serious model look either. You all know that the half face shot is a signature of Miss… Well Saige’s is one of my most favorites ever. Check it out…. Did she nail it or what!! Saginaw, Michigan Senior Photographer or is it Plano, Texas Senior Photographer? Either Way… Celeste!! The power of social media is pretty amazing. I know this because I had the wonderful pleasure of photographing the gorgeous Celeste… a Michigan born, Texas raised Class of 2014 Senior at Liberty High School in North Texas. Do you all remember Cassondra’s Session that was featured a couple of places? If not you can check out the In the Press page and see it. (: Once her session was featured, the blog owner’s pinned it… and it was repinned… Quite a bit, apparently, because that’s how Celeste found me… Pinterest! Crazy!! *By the way you should totally Follow Me on Pinterest and leave a link to your Pinterest in the comments so I can follow you too! I cannot thank Celeste and her mother, Donna, enough for choosing me to be their 2014 Senior Photographer… especially since, they are in Texas, and I’m all the way up here in The Mitten. Thank you both for taking time out of your vacation to work with me. It truly was a pleasure, and I am over the moon, in love with these images! If you are interested in having the experience of a lifetime for your senior portraits… Contact Me (that little button up at the top of the post)! Let’s make your photos as stunningly beautiful as you are! Kate H - Love your senior work! Such a gorgeous girl! Erica Colvin Photography - I feel like she could play Celine Dion in the early years of a documentary of her life! What a gorgeous girl! Samantha Sinchek Photography - Your work is perfection Marissa. Your fusion videos are so fun and perfectly made, I would love to incorporate this someday! Sarah Cusano - What a gorgeous girl! Your work is so stunning Marissa! Heather - SO SO love these! I am SO obsessed with your senior work. Just amazing! Danielle Lemon - I keep scrolling back to look at each one of these because this session is PERFECTION. Holy gorgeous. Your work is so beautiful. I imagine she’s absolutely thrilled with these photos. Deidra - So stunning. She is absolutely gorgeous and you did an amazing job! Chelsie - She is beautiful!! And your work is just incredible! These are fantastic! Becky - Your composition and posing is pure perfection! I love these! Joey - Wow she is stunning and your work is amazing as always! I wish I had photos like this when I was her age! carolyn kipper - have i told you lately that you are amazing? seriously my jaw dropped. this girl is gorgeous and you are so talented. Melissa Reibe Photography - These are STUNNING! She was smart hiring you 😉 Love your senior work! Donna E - Thank you all very much for admiring my daughter, Celeste! 🙂 Your comments warmed my heart and brought tears to my eyes. Marissa is a fantastic photographer! Her artistry and genuine personality make her a true gem. She surpassed our expectations in every way!